Tell me that I won't ever be nothin', ain't that somthin'? Ampliar Canción Broken People feat Rag'n'Bone Man de Logic . 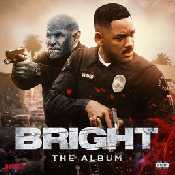 - Álbum "Bright: The Album" del año (2017)	. >Video en Youtube . - Discografí­a y :: Biografía.